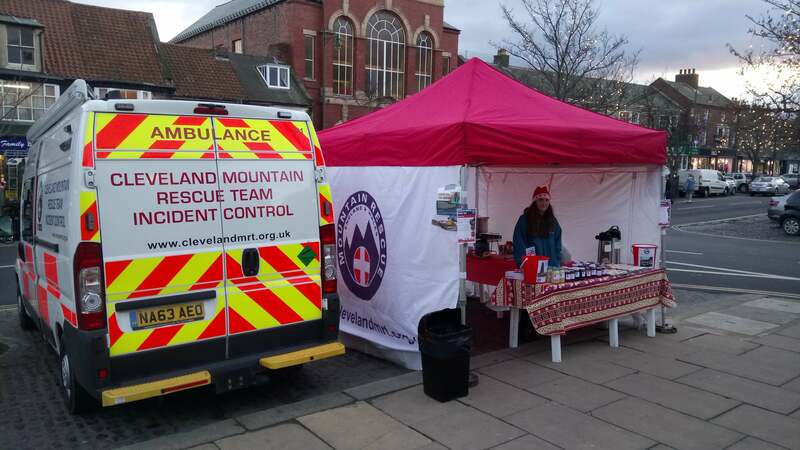 Cleveland Mountain Rescue Team relies solely on the very kind donations from the general public, support from local businesses and occasionally grants which we can apply for. The Team operates 24 hours a day 365 days a year, so we need your help to keep the team in a state of operational readiness. Team members give up their spare time to attend training events and operational callouts, be it a rescue that can last anywhere from 45 minutes to 5 hours or a search that can last from a few hours to a few days. As well as the operational & training commitments, team members dedicate time to fundraising. Currently, we need to raise around £25,000 a year to keep the team operational.Funding is spent on fuel, maintenance of the vehicle fleet, maintenance of medical equipment, technical rescue equipment, maintenance of the team base, to mention a few. On top of that, we need to raise funds to complete the base refurbishment and also raise funds to replace PPE (Personnel Protective Equipment) and to fund our specialist training. Fundraising events vary from sponsored walks, runs, cycle and challenge events, street collections, summer fetes, in-store collections throughout our operational area, raffles, country shows or indeed anywhere else we can get support from. The fundraising events that we organise are the Survival at the end of March, The Whalebones Walk around May Day and The Viking Chase in September. Could you help us by organising your own fund raising events or just by helping the team in some of its own fundraising activities? We will of course come along and support you in such events. Cleveland Mountain Rescue Team would like to thank all of its supporters for their continued support. Cleveland Mountain Rescue Team is one of the fifty or so mountain rescue teams that exist in the upland areas of the United Kingdom.